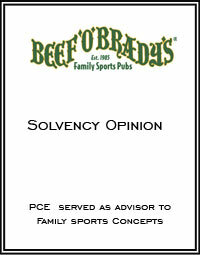 Beef ‘O’ Brady’s is a national chain of family sports pubs that prides itself on building relationships with schools, youth sports leagues, and other community organizations in each Beef ‘O’ Brady’s neighborhood market. The “kid appeal” of this concept is reinforced by a moderately priced kids menu and video games. Despite its name, Beef ‘O’ Brady’s is actually best known for its Buffalo-style chicken wings. Beef ‘O’ Brady’s has more than 220 restaurants throughout the Southeast and the Midwest.